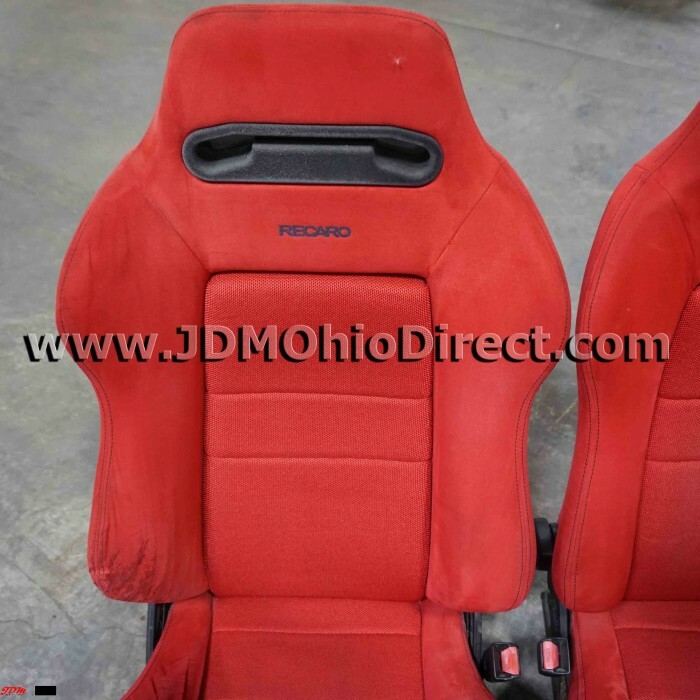 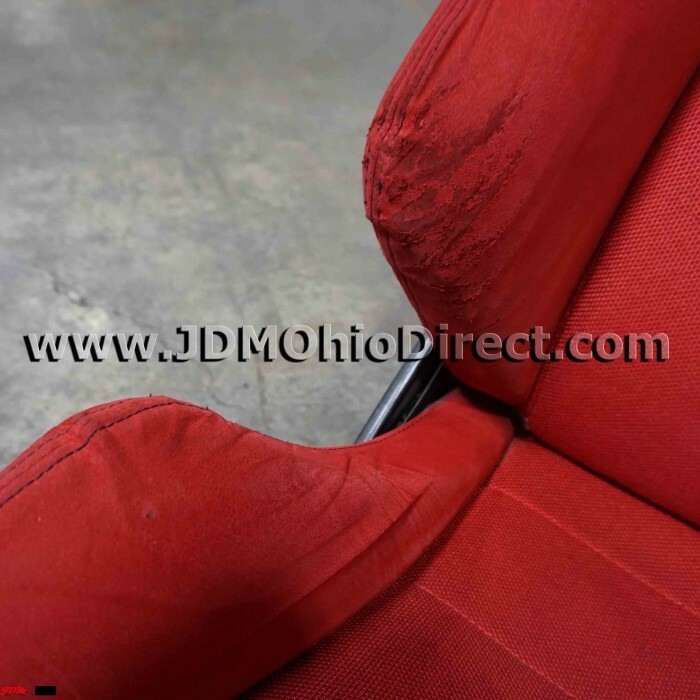 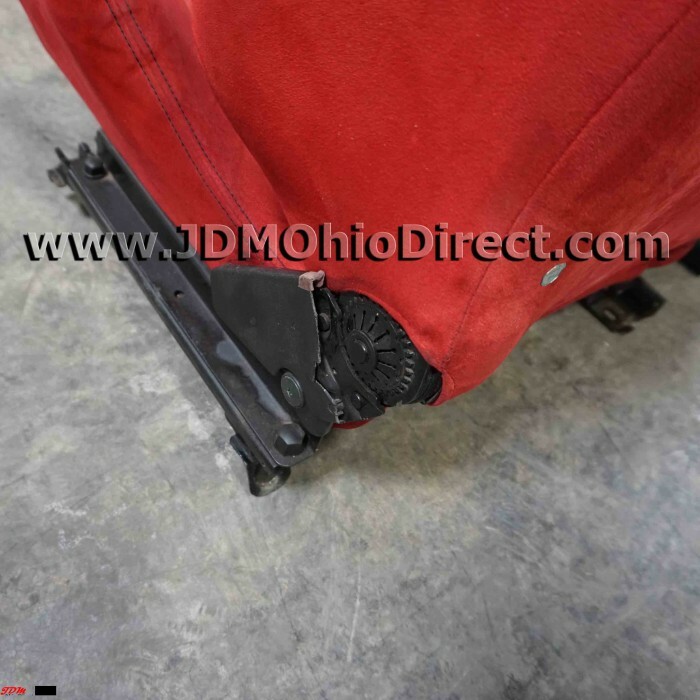 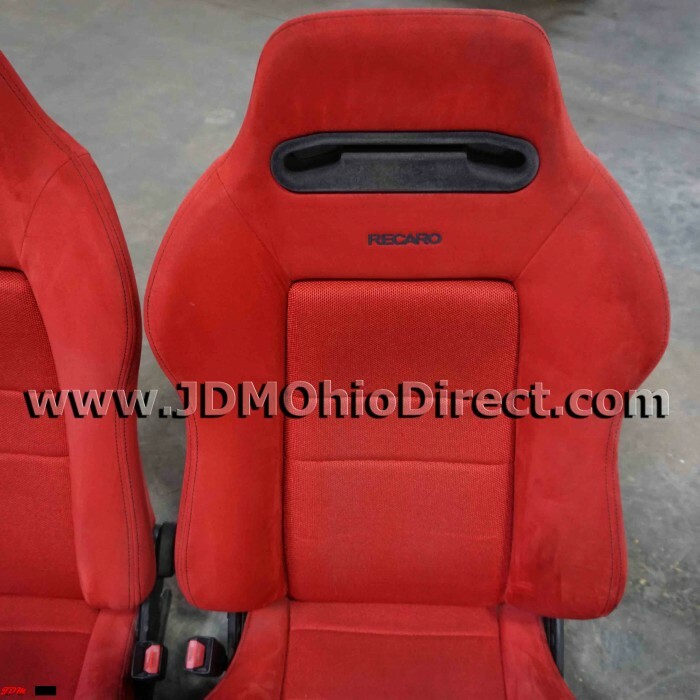 JDM DC2 Integra Type R Red Recaro Seat Set. 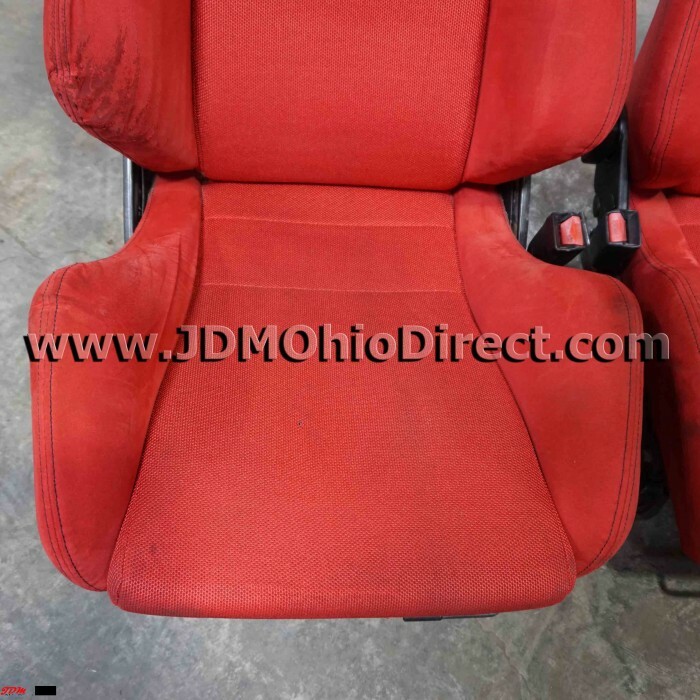 Seats are in good condition, with only minor bolster wear on right outer seat. 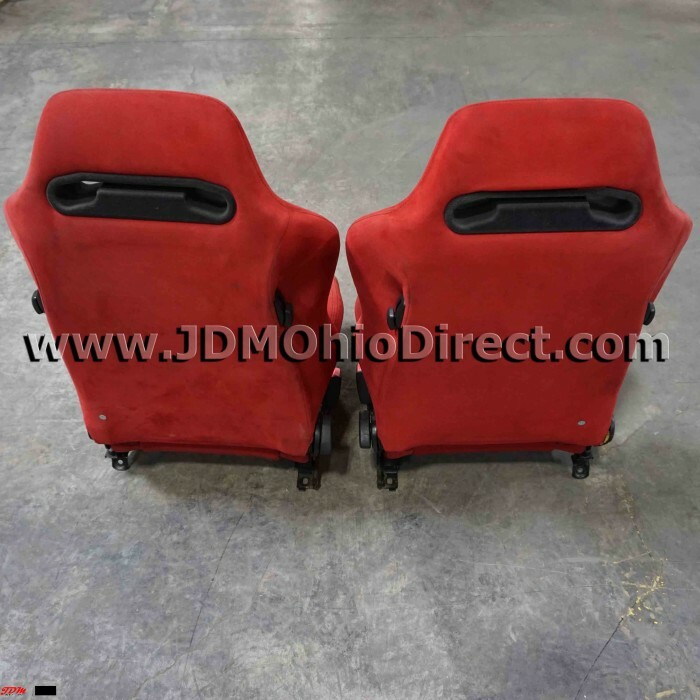 Material is red suede with black stitching. 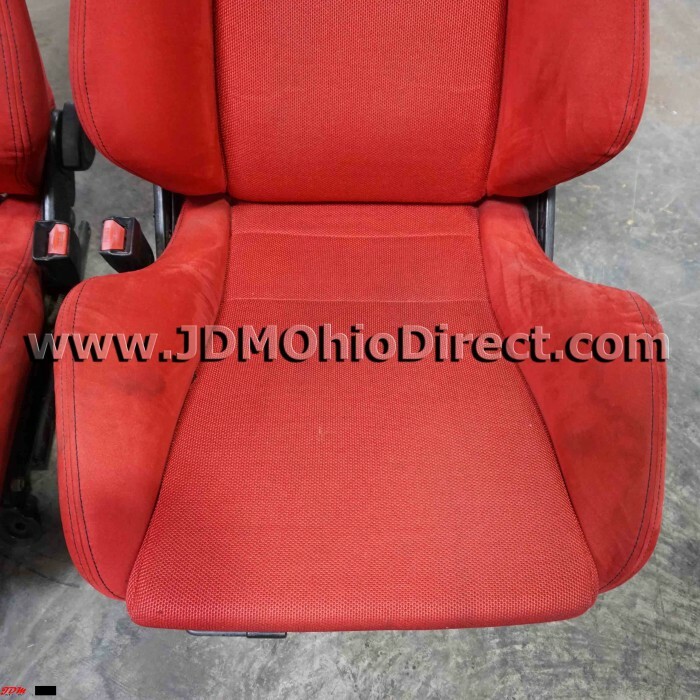 Seats recline with adjustable twist knob for precise seat angling. 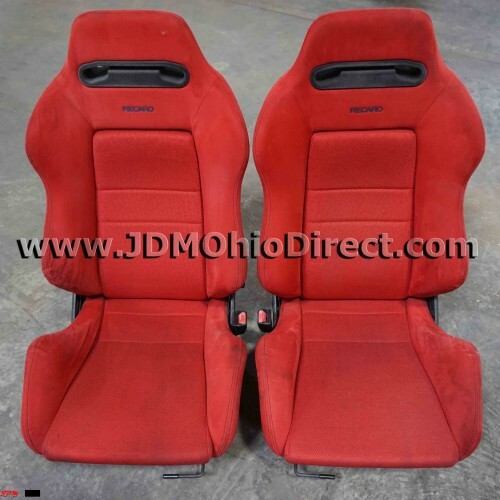 Actual pictures shown.